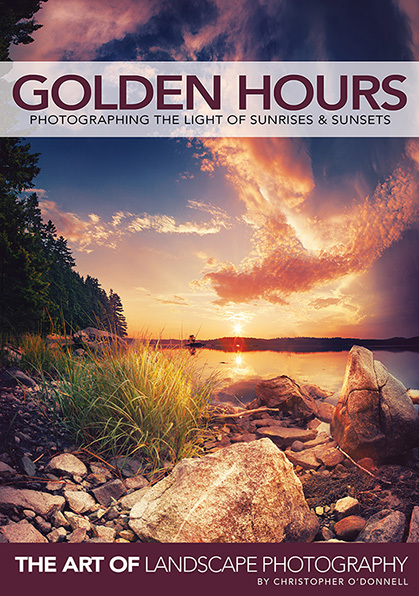 Take 50% Off “Golden Hours” eBook for One Week Only! One of our writers, Christopher O’Donnell, has just released a fantastic eBook that landscape photography enthusiasts will certainly appreciate, and we’re thrilled to offer it to you at a 50% discount for one week only. Golden Hours: Photographing the Light of Sunrises and Sunsets gives you over 252 pages and two eBooks worth of valuable information, guiding you through all the steps needed to create a beautiful golden hour photograph in a simple, easy-to-follow format. Many photographers will often note that their sunrise and sunset images rarely represent the scene they observed. By detailing the specific steps of his creative workflow, both in the field and in the digital darkroom, Christopher explains how to successfully translate what your eyes see during one of the most challenging times of day to photograph, and how to represent that experience visually by using a combination of camera and processing techniques. Golden Hours will allow you to transcend the disparity between what you see and your results, allowing you to create realistic, vibrant images of this beautiful light. Judging Your Light: This section explains the unique exposure challenges that the golden hours present and multiple ways to overcome them (exposure blending and GND filters), allowing you to choose one that compliments your workflow. Alternative Perspectives: To conclude, this section discusses how to take full advantage of the golden hours and explore different compositions that one would not normally consider, inspiring you to think beyond the mainstream confines and tap into your creativity. This section also covers the “blue hours”, also known as civil twilight, and the unique quality of light this window of time provides. Also included is a detailed explanation to 29 of his most popular golden hour images. Each high-resolution photograph is paired with a wealth of valuable information on his creative processes, as well as important technical notes and EXIF data. Click here to read more about this ebook. 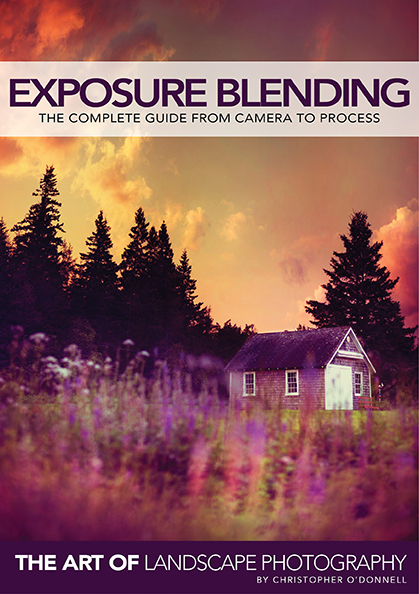 Also included with this eBook is an additional guide on exposure blending, the post processing technique Christopher uses to create his golden hour images in the digital darkroom. In this step-by-step guide, he discusses the entire process of exposure blending – from autobracketing in the field, to combining different exposures in post process. To celebrate this new edition, Christopher is offering Photography Blogger readers a 50% discount from now until June 26, 2014 by using the discount code PHOTOBLGGR. This offer is only available for a week, so make sure to pick up your copy at this incredible price! Click here to get yours today. Christopher also offers a 30-day “no questions asked” guarantee: if for any reason you are not satisfied he will refund the purchase price so there is no risk in trying.